** You can gain TEFL Certification by completing a120-hour online course or a blended course (online training and classroom experience). RealTeachers provides an opportunity to undertake the former at a nominal cost. Note: Unfortunately we are not able to place even highly qualified and experienced teachers who are over 59 years if age, due to visa regulations. What is a TESOL / TEFL certificate? TESOL (Teaching English to Speakers OF other Languages) and TEFL (Teaching English as a Foreign Language) are basically the same certification. They both essentially mean “Teaching the English language, (spoken and written), to non-native speakers of English.” In China, the TESOL/TEFL certificate is the most common acronym used, when referring to teaching English to non-native speakers. There are other types of qualifications, and this can lead to confusion. A quick google search will show you more acronyms, for the similar certification. These include CELTA, ESL, and EFL. CELTA (Certificate in English Language Teaching to Adults). ESL (English as a Second Language). EFL (English as a Foreign Language). Though these are all welcomed, it’s far less limiting to acquire a TESOL/TEFL certificate. It is essential to obtain a certificate in order to get your ESL (English as a Second Language) teaching underway. This applies to both in the school classroom, or online teaching. The TESOL/TEFL course will outline what is to be expected to teach English to a non-native speaker, and highlight everything from lesson preparation, and suitable classroom games, to in depth grammar instruction, and advanced linguistics. The course is through RealTeachers and is completely online based, with a total of 120 hours tuition, in which you have up to 6 months to complete. If you work hard, it is possible to finish in a week! You will receive your certificate upon completion. Now, let’s get your career underway! As already stated, it is necessary to have ESL/TESOL/TEFL Certification. For those with only a Degree and no such certification, RealTeachers offers this TEFL course for $500. However, if you have completed a TEFL course which contains a classroom component you are likely to secure you a better job. One way or another, with only a degree, it will be necessary for you to obtain TEFL Certification prior to taking up a teaching position in China. It is NOT NECESSARY for you to have obtained this at the time of making an application. You can apply and then complete the 120 hour online course during the time taken to process your application and arrange the necessary documentation involved, since these arrangements are likely take a number of weeks. Previous teaching experience is a tremendous asset and will help you land a higher paying job. For those who may have little or no teaching experience, RealTeachers offers great on-line English teaching opportunities. If you choose, this allows you to gain teaching experience and develop confidence before you embark on your China experience or indeed at any time you choose. RealTeachers works closely with Studentslink Academy to issue an exclusive TEILC Certificate (Teach English as an International Language in China) to you after you have completed 25 hours on-line English teaching practice and 30 hours Chinese culture and language training. TEILC is a highly regarded certificate in China. comfortable life for you. The average salaries now fall in the range of AUD 2,000 -AUD 4,000 per month after tax. There are also some positions paying as much as AUD 5,000 per month for teachers who are highly qualified and have considerable experience. 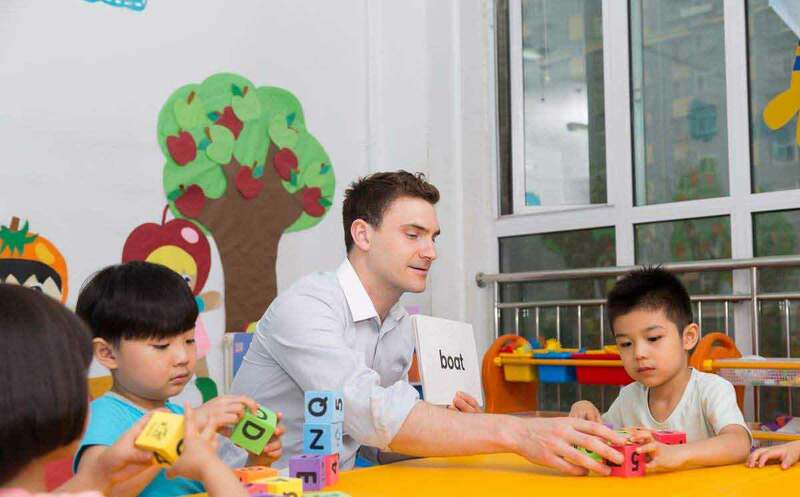 Note: If you are an inexperienced younger teacher, with a degree and a TEFL / TESOL / ESL certificate, your typical starting salary will be around RMB10,000 per month (around AUD 2,000). In Australia and indeed most western countries, accommodation is usually a major cost. However as a teacher of English language in China, you will enjoy free accommodation provided by your school. What’s more, average utilities bills are very low indeed and only a fraction of what you will have been are accustomed to at home. Chinese school campuses have good staff amenities. Most schools will provide lunch at low cost. If on the other hand you prefer to eat lunch outside the school, a tasty meal will only cost you around RMB20- 30 in local restaurants. It is actually a good idea to eat out in the evenings too. The food is cheap, yet delicious, and it's very economical in terms of time. Infrastructure in China has been developing rapidly in recent years. The general population enjoys very convenient public transport at a very low price. For example, in most cities the cost of a ticket on an air-conditioned local bus will be no more than 2RMB. Intercity trains, including high speed trains are also very cheap when compared with travel in Australia and other western countries. The cost of a mobile phone service is also very low as is the internet. *RealTeachers works hard to secure the best possible working conditions for you. It is possible that individual contracts may include additional benefits not listed although there is no guarantee of this. These are highly sought after by credentialed teachers. Competition for these positions tends to be fierce as your schedule and curriculum will be very similar to that of your home country. International school positions typically pay more and offer a better teaching package than public school positions. These are government schools. Public school teachers typically deal with a number of classes throughout the day. You can expect large classes but, teachers typically enjoy a lighter teaching load than those at international schools. These offer an after-school and weekend curriculum for students between the ages of 3 and 17. You can also find private language schools that cater for adult learners. At both adult and school-age private language schools your schedule will include full teaching days on Saturday and Sunday. However, you’ll have two consecutive days off during the regular working week. These positions are ideal for new teachers who are looking to gain experience or teachers who don’t want to spend more than a year in China. choices are limited to them. Did you know China now has over 160 cities with a population of a million or more? There’s an opportunity to live and work in virtually any corner of the country and to see its regional and ethnic diversity for yourself. We have had recent jobs in over 30 cities in China – from big cities like Shanghai to smaller, more exotic locations such as Qingdao (a peninsula city), European-influenced Harbin in the north with its ski resorts and hot springs, and city of heaven, Suzhou. With the variety of choice, it’s best to do some research on provinces and cities to find the best balance of cost of living, salary, and quality of life. RealTeachers can assist you with this. You will constantly be surprised by the way people in China live, a mix of a traditional Asian lifestyle with 21st century modernity. It goes without saying that the country’s history, its epic sights, and the food, are all awe-inspiring. You will also find the Chinese people friendly, quick to laughter and willing to help. Keeping an open mind and being flexible will take you a long way in China, as will making some local friends and learning a bit of the language. Even a few common courtesies from a good phrasebook will help open doors for you. Working here will give you a tremendous opportunity to become conversational in Mandarin, a language that will become more useful as China’s global influence continues growing. These days, the expat community is also well established and you will have little trouble finding other English speakers if you branch out. There is so much to see and experience in China beyond the Great Wall and Forbidden City. You’ll have plenty of time to explore the country on weekends and holidays – inexpensive high-speed rail is ubiquitous and flights between major cities are relatively cheap. Getting out of China for a break is also easy – many teachers head to Vietnam and Thailand for their vacations but you will need a multiple entry Visa to do this. Requirements for working legally in China are very specific. You will need to obtain Mac 'Z' Visa and a work permit, issued in response to an invitation from the school you will be working at. Working on any other kind of visa is illegal and while you may well hear stories of teaching who are working on other types of visas, this is a very foolish thing to do. After succeeding in your application, although the school will arrange your visa, you will still have to provide the required paperwork with the help of RealTeachers. Submit an APPLICATION to RealTeachers via this site attaching a cover letter and resume. 1)	If you meet the minimum requirements, within 3 working days, you’ll receive an invitation to attend an interview. 2)	If you're successful at interview, RealTeachers will then begin the process of finding a school to suit you. 3)	You will have the opportunity to speak directly with the employer/school to discuss the job details and discover whether you are a good match for each other. 4)	Once you’ve found your perfect match, you can make the decision to sign a contract with the employer. After you've signed the contract, RealTeachers will advise you on everything you need to do before you depart for China and support you while you do it. In particular we will guide you through the process of DOCUMENT AUTHORISATION to support your APPLICATION for a WORKING VISA. Authenticate all your notarised documents with the Departments of Foreign Affairs and Trade or its Office in States or Territories. This can be done either in person or in Melbourne and Sydney, by post. Note: This step can take up to 3 weeks to complete. Regardless of where you are in the world, RealTeachers is here for you every step of the way. We are contactable via email, WeChat and telephone.